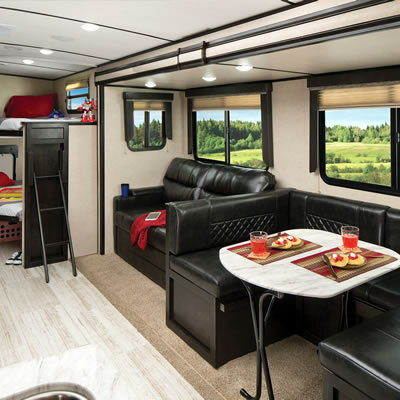 If family-friendly fun is what you're after, then start with a trip to Rattlesnake Canyon. 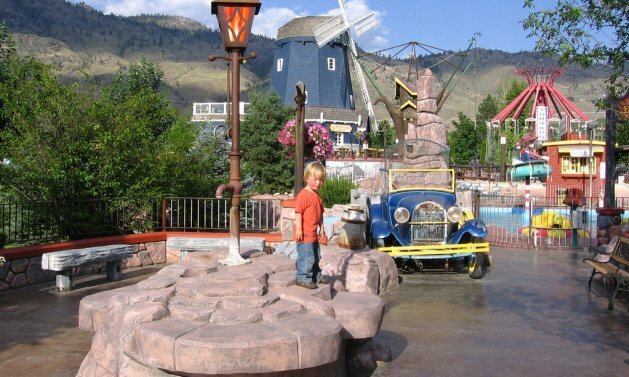 This western mining town-themed amusement park is just a block away from Osoyoos Lake and close to a number of campsites. Activities here include minigolf, go-karts, arcade games, bumper boats, a bungee tree, climbing wall and so much more. You can have an ice cream cone from an authentic windmill-turned-ice cream parlour that boasts 48 delicious flavours. In addition, you can find a gift store, tattoo parlour and a concession stand. Address: 5502 Main Street, Osoyoos, B.C. Cost: General admission is free, and each attraction has its own specific (and reasonable) fee. You can also get Rusty's Daytime Special for $21.95, which includes one ticket of each for the tumble whirl, tornado, bungee tree, rock climbing wall and the bumper boats. This package deal is valid from 9:30 a.m. to 6 p.m. only. Hours of operation: June 27 to August 28 - 9:30 a.m. to 11 p.m. August 29 to September 6 - 3 to 11 p.m.
A tour of Osoyoos would not be complete without stopping at the Nk’Mip Desert Cultural Centre. This site includes an interpretive centre with stunning architecture and informative indoor and outdoor exhibits that tell tales of the early Okanagan people. There are several interactive, hands-on displays that will entertain folks of all ages. You can even book fishing trips and eco-tours, to learn more about local flora and fauna. Driving directions from Kelowna and Penticton: Drive south on Highway 97, and turn left at the intersection with Highway 3. Follow the signs for the Osoyoos Business Centre and Main Street, and head along Highway 3 through downtown and along the lakeshore. The centre is located at Nk’Mip Resort, two kilometres east of Osoyoos off Highway 3. Cost: Adults $12, seniors and students $11, children (5-17 years) $8, family (two adults and children under 19) $36. Annual membership: adults and seniors $25, family (two adults and children under 19) $45. Hours of operation: Tuesday to Saturday, 10 a.m. to 5 p.m. For updated seasonal hours, check the Nk’Mip Desert Cultural Centre Facebook page. Operated by the Osoyoos Desert Society and located three kilometres north of Osoyoos, this 67-acre attraction will appeal to nature lovers. Guests can take guided or self-guided tours along the boardwalk, examine hands-on displays in the interpretive building or peruse a native plant demonstration garden. It is a prime opportunity to learn more about this diverse and unusual ecosystem. Driving directions: From Penticton or Oliver, travel south toward Osoyoos. As you approach Osoyoos, turn right onto 146th Avenue (there is a sign for the Desert Centre) and continue up the road until you see the centre on the left. From Osoyoos, head north on Highway 97 towards Oliver or Penticton. Turn left on 146th Avenue (there is a sign for the Desert Centre) and continue up the road until you see the centre on the left. Hours of operation: The centre is open from late April through early October. Late April - May 15: 10 a.m. - 2 p.m.
May 16 - Sept 15: 9:30 a.m. - 4:30 p.m.
September 16 - early October 10 a.m. - 2 p.m. Cost: Admission includes a guided or self-guided tour, and access to the interpretive centre and the native plant garden.